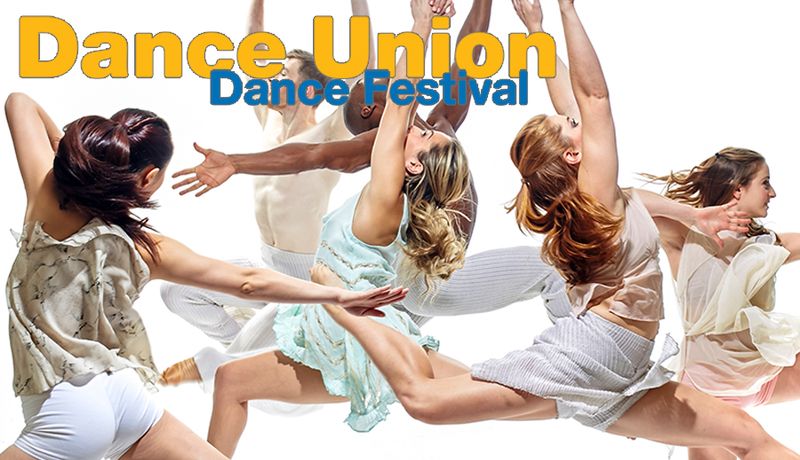 Carolyn Dorfman Dance (CDD), whose bold and dramatic works connect life and movement, announces the launch of DANCE UNION FESTIVAL as part of its 35th Anniversary Celebration. With its headquarters in Union Township for 30 years, the acclaimed dance company is collaborating with Union County Performing Arts Center and Rahway Dance Theatre to produce the first-of-its-kind festival that will shine a light on dance and diversity in Union County. Having trained numerous dancers across the county, Carolyn Dorfman, a Union County stalwart, is eager to exhibit the townships’ exceptional dance companies and performers. An open rehearsal during the afternoon and reception on Friday night will recognize the Union County Freeholders and Office of Cultural and Heritage Affairs—whose support through the History, Education, Arts Reaching Thousands (HEART) grant has made this program possible. Open level and intermediate/advanced ballet and modern classes will be taught on Saturday morning by founding artistic director Carolyn Dorfman and Jay Skeete Lee, director of Rahway Dance Theatre. Sunday’s festivities will showcase performances by Union County dance companies including Carolyn Dorfman Dance, Rahway Dance Theatre and The Well Performance Project. Works by pre-professional dance company New Jersey Dance Theatre Ensemble and five local high school dance programs—Cranford, Plainfield, Union County Vo-Tech Academy for Performing Arts (APA), Alexander Hamilton Preparatory Academy and Thomas Jefferson Arts Academy in Elizabeth—will also be showcased. “After 30 years in Union County, we are eager to honor our longevity and connection with the community,” says Anita Thomas, the company’s first African American executive director who has spearheaded the festival. “This is a very diverse and growing county and this festival will highlight that diversity and give the whole community access to high-quality dance performances and training.” Thomas, together with Artistic Director Carolyn Dorfman, is especially excited about the opportunity the festival will present to welcome a broad segment of the community—especially senior citizens and disabled patrons—which the company happily embraces through their Patron Service (sensory) program. Celebrating its 35th season, Carolyn Dorfman Dance connects life and dance in bold, athletic and dramatic works by Carolyn Dorfman and nationally renowned choreographers. 35 years strong, the company’s eleven multi-ethnic and stunning dancers tap their unique talents to present high-energy and technically demanding dance that unleashes the powerful storytelling and imagery of its visionary creator. Touring nationally and internationally, Carolyn Dorfman Dance appears at major theaters, festivals, universities, museums/galleries and other non-traditional performance venues. Carolyn Dorfman Dance presents immersive performance and teaching residencies that take the company into diverse communities to share art and process, creating experiences that build connection, understanding and inspire positive social change.